The Michelau brothers (and a sister) came to Chicago from Luxembourg one by one, about 100 years ago. They were all born in Harlingen (also called Harlange) population at the time about 300, in the canton of Wiltz, adjacent to the Belgian border and just a few miles northwest of Boulaide. Their parents were Jean Pierre MICHELAU and Barbe DAPFONTAINE. This webpage traces their family history before and after their immigration. There is a town called Michelau in the commune of Bourscheid, canton Diekirch, last picture at bottom, where the Michelau family might have originated. The name in the Lëtzebuergesch language is Mëchela. 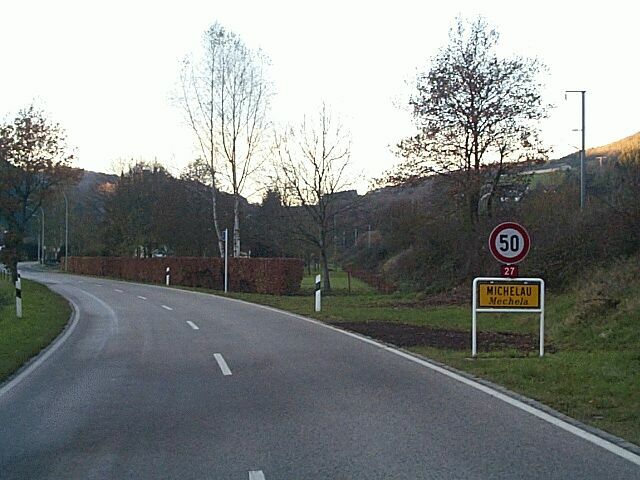 There is also an older town in Germany called Michelau. Susanne MECHELA (born 1764, died after 1815). On March 18 1792 in Wiltz, Luxembourg, she married Pierre KUFFER 1764-1804. (The KUFFER children were Nicolas 1793, Jean Pierre 1794-1821, Anne Catherine 1797, Marguerite 1803). Then on May 4 1808 in Wiltz, Luxembourg, Susanne married Nicolas MAJERUS. Catherine MICHELAU (born about 1770.) On January 8 1797 in Wiltz, Luxembourg she married Pierre WEBER [born about 1767, the son of Jean WEBER (1737-1797) and Catherine PÖMMERS (1742-1797)]. No known children. Martin MICHELAU born on May 17 1801 in Goesdorf, Luxembourg. On April 19, 1826, he married Elisabeth GRAFF (or GRAAFT) born on January 17 1801 in Merscheid, Luxembourg, the daughter of Jean Nicolas GRAFF (about 1778- May 25 1828 in Merscheid) and Catherine THULL (born about 1783, died April 25 1837 in Merscheid.) Merscheid is a town just south of Heiderscheid. Anne Marie MICHELAU born on August 21 1803, Goesdorf, Luxembourg, died on April 30 1857 in Goesdorf. On January 17 1828 in Goesdorf, she married Pierre SCHAUL (born on August 11 1802 Oberfeulen, Luxembourg, died after 1863, the son of Michel SCHAUL ca 1765-1845 and Anne Marguerite BENTZ 1775-1816) and had the following children: Catherine 1828, Catherine 1832, Marie Catherine 1834. Catherine MICHELAU was born Apr 6 1827 in Merscheid. She married Martin DEVILLE on Apr 26 1854. 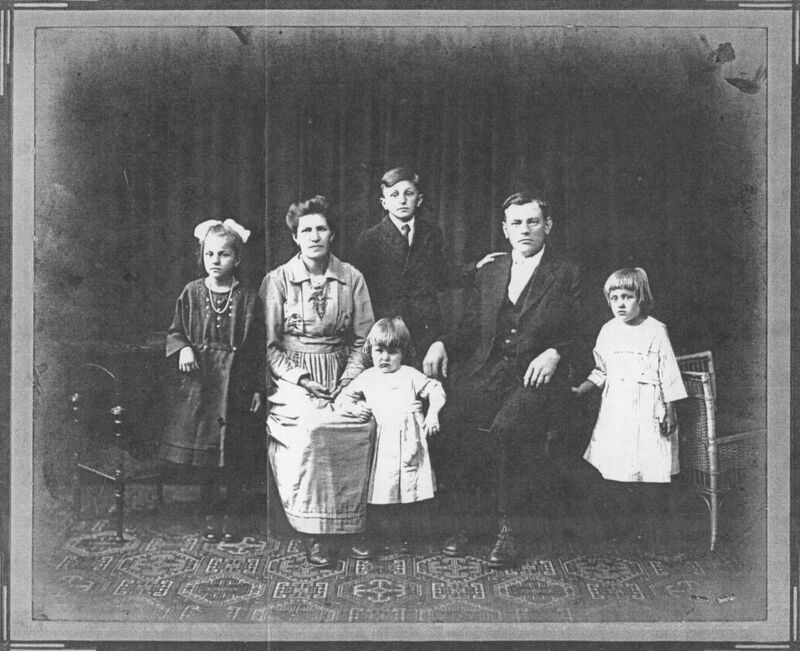 They had 8 children including a son Rodolphe (Adolph) DEVILLE born Mar 19 1855, who married Barbara UNSEN (born Lintgen, Lux, Mar 11 1857, emigrated Apr 1883, died Apr 4 1941, the daughter of Adam and Magdelena Unsen) on January 19 1886 in Minneapolis MN. Some of the DEVILLE descendents ended up in South Dakota. Jean Pierre MICHELAU was born Oct 23 1833 in Merscheid, Luxembourg, and died Aug 12 1904 in Harlingen, Luxembourg. 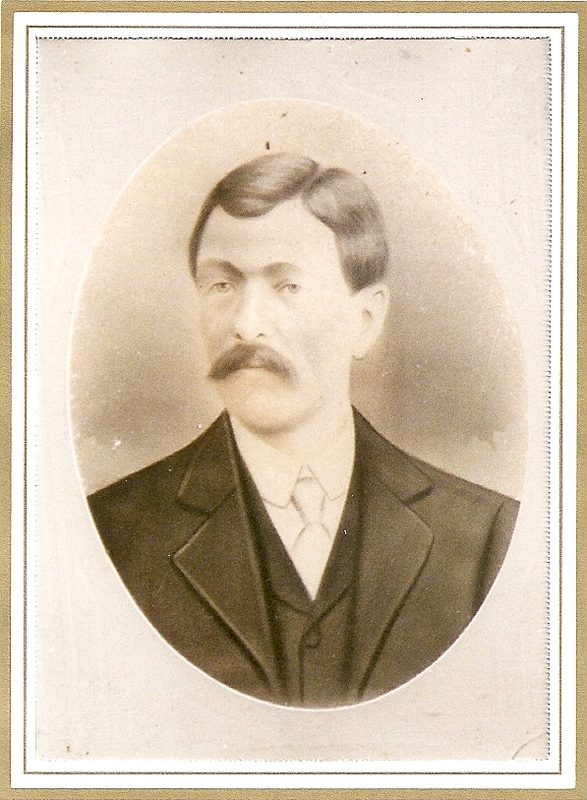 On Apr 26 1864 he married Barbe DAPFONTAINE who was born Mar 1 1845 in Harlingen, and died Nov 23 1891 in Harlingen. At first Jean-Pierre and Barbe were living with Barbe's mother in Harlingen. They had 12 children, all born in Harlingen. Most of the children went to the USA. 3. Nicolas MICHELAU (Feb 2 1869 - March 27 1912) (He was said to have stayed in Lux and died young.) He m Marie MATHIEU (Aug 30 1870 Tarchamps- ) on May 18 1901 in Harlange. Their children were all born in Harlange. 4. Anne Catherine MICHELAU (Feb 11 1871- July 4 1950) married Ernest COLERIDGE. They lived in New York (Schenectady, then Albany.) Ernest died before 1920. Anne was a nurse. By 1930 she lived in Los Angeles, and died in San Francisco CA in 1950. They had a daughter Barbara (born around 1903) and a son. 5. Pierre MICHELAU (Aug 6 1873- Aug 2 1951) m Anni CLEMENT (Jan 5 1871- Oct 27 1943), the daughter of Johann Clement of Harlange and Marie-Catherine Schleich of Boulaide-Moulin, Luxembourg. According to the immigrant records Peter had visited Chicago in 1893 but returned to Luxembourg. Then on Jul 21 1897 "Peter Michelan" (misspelled), age 24, arrived on the ship Noordland on a visit to the home of his brother John in Chicago.) Then on another trip "Peter Michelou" arrived Mar 9 1898 on the Kensington, but this time he listed his home as West Ridge IL. His future wife Anne Clement was traveling on the same ship. They were both identified as single and did not appear to be traveling together, although they both came from Harlingen, the same small town, and surely saw each other on the ship. They were surprised when they met again later in Chicago. 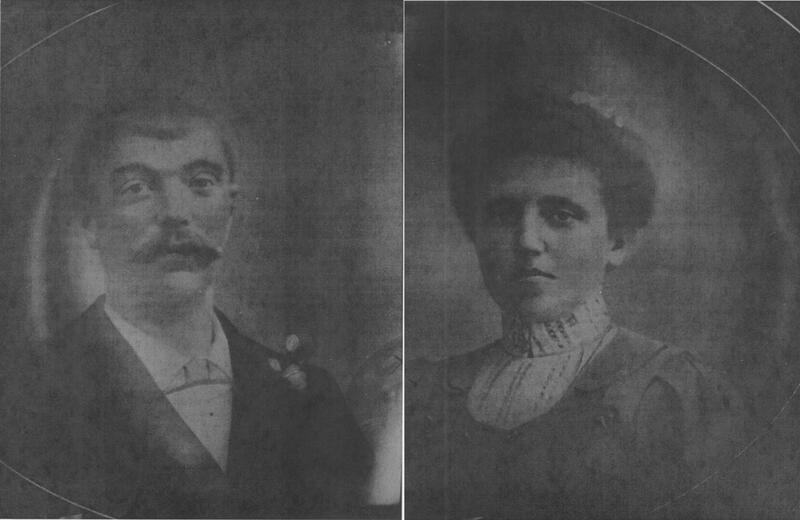 They married on Feb 13, 1899. They are in the 1900 census as "Michelow," living on Devon Ave a block west of Damen. Their first 6 children were born while the family were members of St Henry's church. Peter learned the greenhouse business while working for the Schwind family in Evanston. Those greenhouses were along Howard Street west of Asbury Ave. At some point Peter was ill from typhoid fever and recuperated at Alexian Brothers Hospital. Then about 1910 they moved to 205 Asbury Ave, and owned their own greenhouses. Their last 3 were baptized at St Nicholas church in Evanston. On that same 1898 voyage to the US was Anni's brother Frederic ("Fritz") CLEMENT (1874-1932). Two of Anni's sisters and a cousin also came to the US. 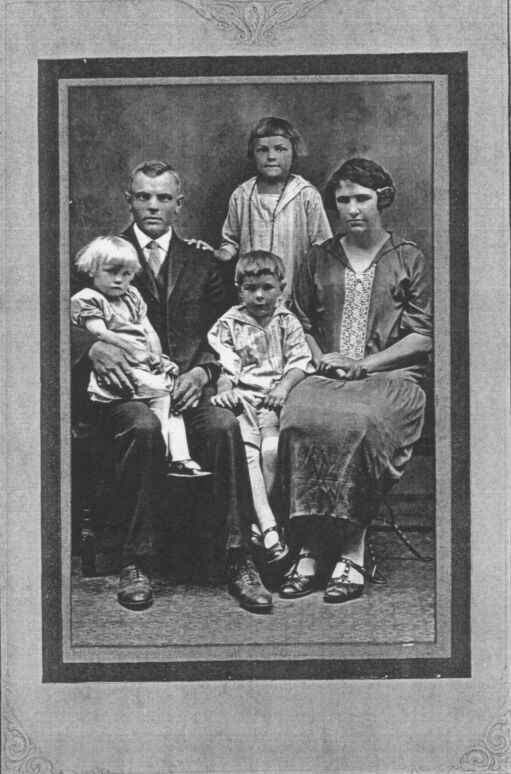 In fact, John Peter STORCK and Josephine CLEMENT and their kids came to the US in 1914 along with John MICHELAU (#7 below). Other CLEMENTs stayed in Luxembourg. See my Clement page for details of this complex family I have been studying. 6. Etienne MICHELAU (twin) (Sept 26 1875- Jan 6 1945 Liefrange, Luxembourg). (Etienne is a form of Stephan or Steven.) He might have come to the US but returned to Luxembourg and married Elisabeth HEINTZ (Aug 26 1879 - Aug 16 1941 in Wiltz) in 1904. (See article under Joseph, below.) All of the children were born in Liefrange (Liefringen) where they had a farm. 7. 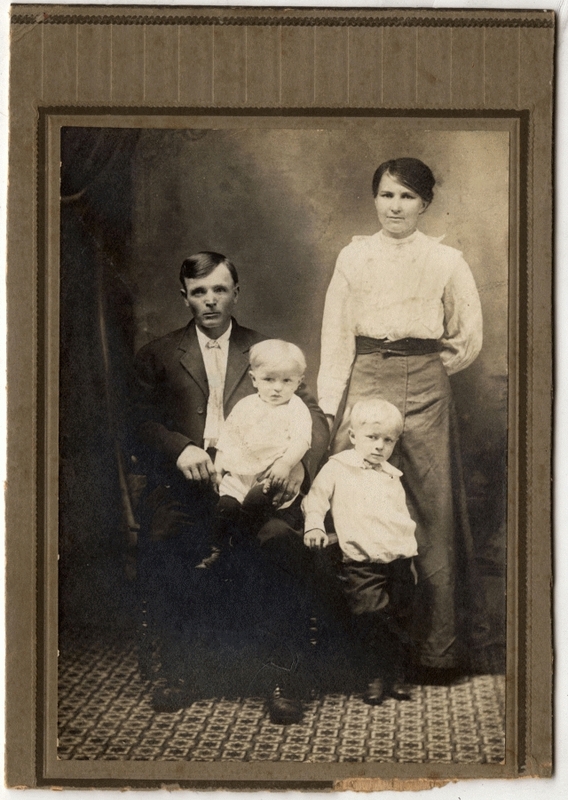 Jean MICHELAU (twin) (Sept 26 1875- before April 1930) Called "Henny" for "John Henry", he married Susanne SALENTINY (Aug 6 1882- Jan 1 1919) on Oct 27 1907. Susanne was born in Montigny-les-Tilleuls, Belgium, the daughter of Pierre SALENTINY and Marie EVEN. They were living in Harlange. In early 1914 Jean and Susanne Michelau sold their house and goods and steamed to New York, arriving on May 17 1914 on the Lapland. He appears as "John Michelan," age 38, with wife Susanne Michelan, age 31, son Pierre Michelan, age 4, daughter Marie Michelan, age 7 (note: ages reversed), accompanied by Susanne's father Pierre Salentiny, age 70 (b Apr 7 1843 in Eschdorf). They were headed to see Henny' s brother Joseph. He referred to a previous visit in 1906/1907. They later lived in Niles Center (Skokie.) While Susanne suffered from cancer, her father helped to raise their two kids. She died at age 36 on Jan 1 1919. Then John married Margaret WEBER who was born Nov 25, 1880 in Schieren, Luxembourg. They had two more children. John died of pneumonia and then Margaret died from car crash injuries on Aug 17 1932 in Evanston, IL. The two youngest children then went to live with Art and Mary CLESEN. Peter P MICHELAU (Sept 9 1908 Harlingen, Lux.- Nov 20 1959 Chicago) never married. Mary Ann MICHELAU (Jun 21 1912 Harlingen, Lux.- May 1 2009 Wheeling IL) m Arthur CLESEN (March 7 1913 Chicago- Apr 22 1977 Wheeling IL) on Nov 28, 1936. George Joseph MICHELAU (Jun 6 1922- Jan 21 1969 Highwood IL.) He was in the US Army stationed at Newfoundland and married Roberta WALTERS (Sep 20 1933- ) on April 5 1956. 8. Marie Catherine MICHELAU (Nov 30, 1877-?) stayed in Luxembourg. She married Joseph MALGET. 9. Michel MICHELAU "Mike" (Feb 19, 1880 - Aug 24 1953) m. Mildred BLASCHKE (July 10 1890- Aug 28 1970) Dundee MN. No ship record found. 6 kids all of Minnesota. Three sons and two grandsons (sons of Hilda) died in a 1974 house fire in Nobles County MN. Helen M. MICHELAU (Dec 31 1914- May 12 2011 in Kenosha WI) m Clarence "Kelly" WEIDNER (Jan 27 1912- Oct 25 1980) on June 27 1936. On Nov 28 1980 she married Leander BURKEMPER (1909-Jun 2001) the widower of Flora. 11. Jean Pierre MICHELAU "Jamp" (Jul 17 1885- Nov 25 1952) m Marguerite SCHULLER (Dec 2 1889- Dec 29 1966). John arrived on the ship l'Aquitaine from Le Havre, France on April 21 1901. He was 25, single, a cobbler, and was planning to go to Le Mars, Iowa. In May 1910 he became naturalized as a citizen in Chicago and married Marguerite. Margaret SCHULLER was a cousin of the CLEMENTs mentioned in #5 above. She was born at the mill at Boulaide (Bauschleiden) Luxembourg. Her sister Mary SCHULLER married John BIERCHEN. 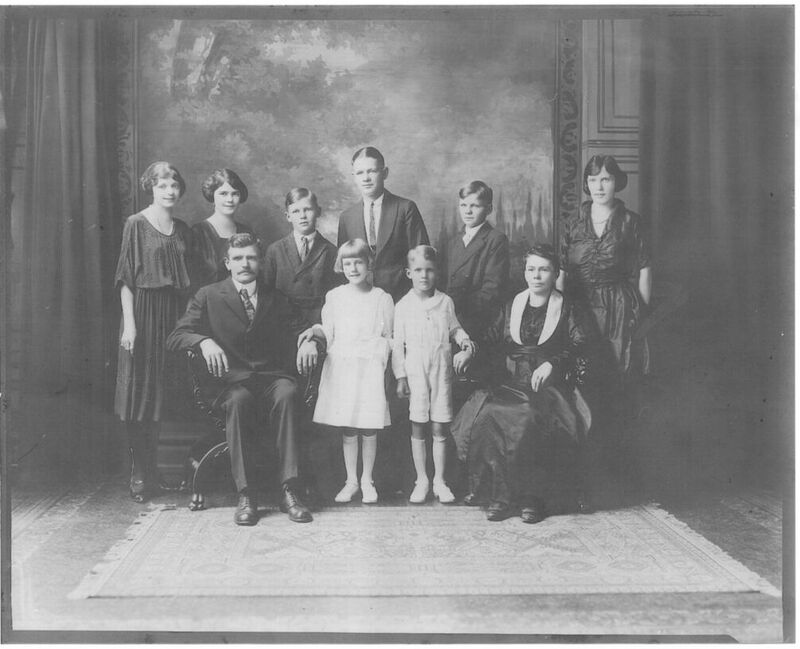 The two SCHULLER sisters came to the US in 1908 after the death of their mother and the sale of the mill. Margaret MICHELAU (Mar 24 1925-) m Ray HOOK (Jun 18, 1918- Feb 5 2003) in Sep 1950. Ann MICHELAU (Feb 6 1927-) m George HOOK (Aug 8 1926- Nov 10 1991) on Jan 7 1950.
Who came first to the USA? The oldest Michelau passenger record shows Peter on his way to brother John's house in 1897. That would have to be the John who was born in 1875, evidently already living here. But Peter also referred to a previous trip in 1892. Now we find that John sailed on the Baumwell on March 19 1892 or March 13 1893, (both dates appear in the records) bound for St Paul. Mike and/or Martin might have lived in northern Iowa for a time before settling on to their farms in Minnesota. Loose ends are mostly resolved, but who was Margaret? On Aug 17, 1932, Margaret Michelau, age 38, of Niles Center, IL, died at St Francis Hospital in Evanston, of injuries sustained in a crash at Lake Zurich, IL. There was a Mathias Michelau in the 1870 census in St Louis MO. He was a laborer age 40 from Luxembourg. His wife Anna, 41, was from Switzerland, and they had a son Gottlieb, age 4. This line goes back to Pierre DAPFONTAINE, born about 1681? in Vance. He married Anne KLEIN, born about 1690? in Harlange, on Jan 14, 1714. Their son Peter DAPFONTAINE (Petrus D'AUBEFONTAINE) was born in Harlange. He married Maria PELLUS on Jun 14, 1733. Their son was Pierre DAPFONTAINE born 1744 in Harlange who married Catherine LALLEMAND b about 1747, on Jan 26, 1772. Their son Heinrich DAPFONTAINE was born Apr 1 1787 in Harlange, and died Feb 5 1825 in Harlange. He married Anne Marguerithe HENRICY on Apr 27 1815 in Harlange. She was born Jul 23, 1788 in Kaundorf, the daughter of Nicolas HENRICY and Catherina KRIER. She died Jan 31 1842 in Harlange. Mathias DAPFONTAINE was born Jan 27 1818 in Harlange. He died Jan 30 1857 in Harlange. 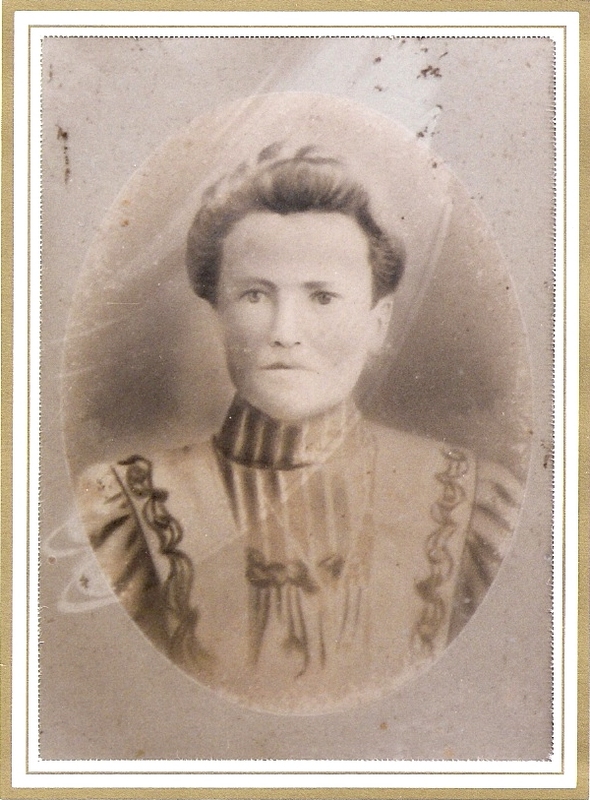 On May 24 1841 in Harlange, he married Anne Catherine NICKS (NYCKS), who was born on Jun 7 1822 in Harlange. They were farmers. She was the daughter of Nicolas NICKS and Anna LUTGEN. She died on Oct 1 1879 in Harlange. Kathryn SCHAUL who married John Peter LEIDER. 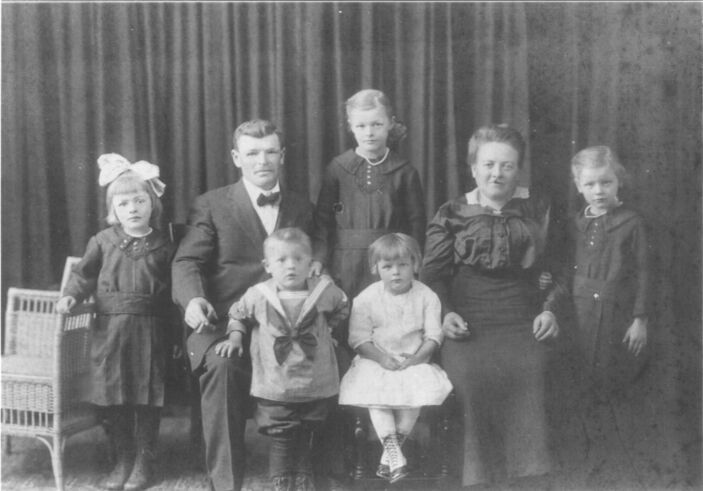 They had 14 children: Ann LEIDER m Robert MOLITOR, Helen LEIDER m Fred PESCHE, Michael LEIDER died as an infant, Joseph LEIDER died as an infant, Josephine LEIDER m George WITTRY, Margaret LEIDER m Ray DIDIER, Joseph LEIDER m Margaret COOPER, Rosalie LEIDER died as a small child, Marie LEIDER m Roy OTTOSON, Frank LEIDER m Elizabeth MEEHAN, John Peter LEIDER m Elizabeth HEIDENBLUT, Katherine LEIDER m Kenneth BROWN but died in childbirth very shortly after, Alphonse LEIDER, m Helen WIETOR, and Richard LEIDER m Marion HAUPT. In the 1920 census for Chicago was a Peter Dafontaineage 50, florist, married to Catherine, age 49, with four children, living at 2139 Devon Ave. They were both from Luxembourg but origins unknown. Here are some pictures of the Michelau children. I am always looking for more. Plase email me at heckenbach@ameritech.net if you have an old picture or any additions or corrections. I might have more pictures to send you. This page created Jan 26 2003, Last Updated December 31, 2016.